The new chief executive of American Electric Power said this week he wants the company to burn less coal as it looks for alternative fuel sources, reports Ryan Tracy of Dow Jones Newswires. The company's current capacity of coal use is 65 percent; new CEO Nick Akins told Tracy "he expects the company's entire fleet of coal-fired power plants to eventually meet more stringent environmental regulations, despite its loud calls for more time to comply with pending Environmental Protection Agency rules." "The only thing we are going to wind up with in the end are fully scrubbed and fully environmentally compliant units," Akins said during an industry conference hosted by the Edison Electric Institute trade group. He also told Tracy that the company would not be able to meet EPA requirements "within a few years." He blamed the government for not creating new energy policy goals and said AEP will better be able to move forward when they know what new policy goals are. Said Akins: "We are at a transformational stage where we need to spend a lot of new capital on what that new mix of resources is going to be." Congressional negotiators failed to meet the Nov. 1 deadline for proposing farm-program cuts to the Joint Select Committee on Deficit Reduction, generally known as "the super committee," and are still working on a package. Meanwhile, the Congressional Research Service has issued a report that helps explain the programs and proposals in play. "Various federal budget proposals have emerged that recommend lower federal spending including cuts to agriculture programs ranging from $10 billion to $40 billion over 10 years," CRS reports. "In response, members of Congress, the administration and a number of farm groups have put forward proposals to reduce government expenditures on farm subsidies and revise farm programs. . . . Other ideas have also been proposed but are not discussed here because of duplication or due to insufficient information at time of publication." For the report, click here. The U.S. Agriculture Department's submission of a scaled-back GIPSA (Grain Inspection, Packers and Stockyards Administration) proposal on livestock and poultry marketing reforms seems to make no one happy, Agri-Pulse reports: USDA "opted to pursue final regulatory clearance on portions of its original proposed rule that address only poultry provisions and some swine provisions." In other words, the Obama administration is "leaving out major provisions strongly opposed by meatpackers but retaining new rules on poultry production and marketing," Meating Place reports. "Apparently gone is the ban on packer-to-packer sale of livestock, restrictions on price premiums based on standards for product quality, and limits on contract terms based on the number of animals sold. The biggest turnabout for the agency, however, may be the fact that it is apparently giving up its attempt to define 'competitive injury,' an important legal concept, as 'conduct (that) distorts competition in the market channel or marketplace.' This definition was included in the section that is apparently omitted from the final rule." "USDA effectively did as a bi-partisan group of lawmakers demanded more than a year ago by removing controversial language. Supporters of the rule aren't happy and because of that were more prone to issue denunciations," Chris Clayton of DTN writes. "Livestock groups that wanted to kill the rule remain wary." The revisions were sent to the White House Office of Management and Budget for final review. Those revisions "deal with poultry companies giving reasonable notice to growers prior to suspension of delivery those birds, poultry and swine production contracts that require facility upgrades, termination of production contracts and the use of arbitration to resolve contract disputes," Agri-Pulse reports. 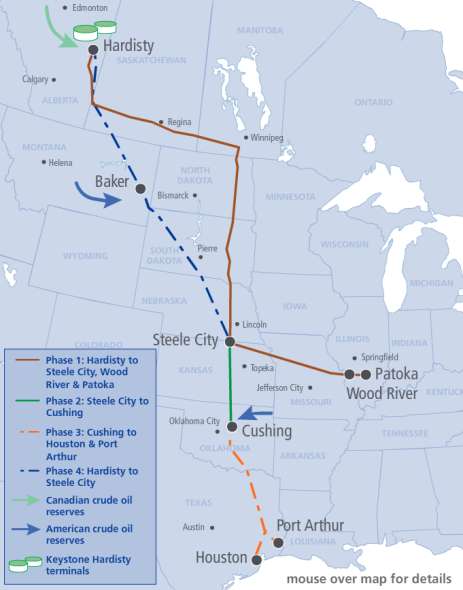 The Obama administration announced this afternoon that it would delay a decision on a heavy-oil pipeline from Canada to the Gulf of Mexico pending study of alternate routes to address environmental concerns in Nebraska about the Sandhills and the Ogallala Aquifer, "pushing off a no-win decision for President Barack Obama until well after the 2012 election," report Dan Berman and Darren Goode of Politico. 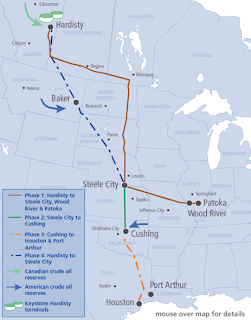 "Environmental groups have been protesting the pipeline that would run from Alberta oil sands to Texas refineries, and there have been rumblings that greens would abandon Obama next fall if he approved it," Politico notes. "At the same time, labor unions have backed the pipeline, arguing that it would create badly needed jobs for American workers." Two wells drilled by the Environmental Protection Agency into a Wyoming aquifer "where residents have long complained that drilling fouled their water . . . contain high levels of cancer-causing compounds and at least one chemical commonly used in hydraulic fracturing," Abrahm Lustgarten reports for ProPublica, the independent investigative news operation that has won prizes for its reports on fracking. After pressure from lawmakers, journalists and advocacy groups, the Health Resources and Services Administration this week restored a data file it removed from public view in September, reports Abby Henkel for the Society of Professional Journalists. Pia Christensen of Covering Health reports that HRSA first removed the Public Use File of the National Practitioner Data Bank, a resource for journalists and the public to learn about malpractice and disciplinary cases against doctors, because "the agency believed it was used to identify physicians inappropriately . . . after the urging of a Kansas neurosurgeon with a long history of malpractice payouts" who became the subject of a story in the Kansas City Star. Removal of the file was protested as an attack on the public's right to know, and a coalition led by the Association of Health Care Journalists publicly objected the removal. Henkel writes there is a "huge caveat" attached to restoring public posting of the data: "Users of the data set must agree not to repost or share the data on other websites, and cannot use it to identify an entity or individual (such as a doctor) by name." Previously, the law made doctors' names confidential, and the Public Use File identified doctors only by numbers. Also, journalists will have to return data from the Public Use File to HRSA upon request. She adds that "violating the rules could result in having to return the data and being barred from receiving it in the future." "The United States Postal Service will not be able to close rural post offices before establishing a more thorough process for selecting closure candidates and re-evaluating the locations being studied for closure, a Senate panel decided Wednesday." So reports Matt Woolbright of Gannett Co. Inc. for the Great Falls Tribune, focusing on the post-office issue that is a top concern for Sen. Jon Tester, D-Mont. But for the Arizona Republic, another Gannett paper, Woolbright focuses on a bipartisan bill's protection for Saturday mail delivery, a provision opposed by Sen. John McCain, R-Ariz. "The legislation, authored by Sen. Joseph Lieberman, I-Conn., mandates that the USPS wait two years before being allowed to move to a five-day delivery schedule." McCain's unsuccessful amendment would have gotten rid of the two-year wait time, something he said would be akin to "kicking a can down the road" for two years. He said the Postal Service was able to decide for itself whether or not to continue Saturday mail delivery: "Do we in all our wisdom dictate to them: No, you have to keep delivering mail on Saturdays?" The provision on rural post office closings was added to the 21st Century Postal Service Act of 2011 during debate by the Senate Homeland Security and Governmental Affairs Committee. The act is the first major overhaul of the postal service in years, Woolbright reports. Tester was a co-sponsor of the rural provision amendment and said his constituents in rural Montana made clear to him how important their community post offices are. Said Tester in a news release: "The postmaster general cannot balance his books on the back of rural America. . . . I won't let the postal service ignore their voices." A documentary highlighting the disproportionate amount of service members from rural areas will air tonight on many public broadcasting television stations. Where Soldiers Come From was the centerpiece of a panel discussion during the 2011 gathering of the National Rural Assembly in which the filmmaker Heather Courtney and combat veteran Dominic Fredianelli discussed the experience of rural youth in active military duty. The film "follows the lives of young men from Michigan's Upper Peninsula who enlist in the National Guard and are deployed overseas." In a release from the National Rural Assembly, it is described as "a complex and moving portrait of rural young people, their families and loved ones, and the communities that both celebrate their youths' military service and worry about their hometown boys' safe return. It's a realistic and compassionate look at rural America that will resonate for many communities across the country." To check your local listings for times when the film will be shown, click here. This is Bill Bishop's review of the film from the Daily Yonder, and here you can find the film's trailer. George Washington University is conducting a "Seminar on Food" series, and the second event will address the market concentration of meatpacking. A panel discussion will include Barry C. Lynn, senior fellow at the New America Foundation and author of Cornered: The New Monopoly Capitalism and The Economics of Destruction; Mark Halverson, staff director for the Senate Agriculture Committee; and Patrick Woodall, research director and senior policy advocate for the lobby group Food & Water Watch. According to a release about the event, "just four companies currently control over 80 percent of the cattle packing market." Lynn will "provide the context we can use to decipher a monopoly issue" like this. Halverson helped Sen. Tom Harkin "challenge meat packing monopolies in the language of the 2008 Farm Bill." And Food & Water Watch has "kept an eye on the implementation of the specific anti-trust provision in the 2008 Farm Bill and will report on their research and describe the methods through which a delicate and complicated issue such as this can be studied." The event, "Monopoly Meat," will be held Nov. 21 from 2 to 4 p.m. in Duques Hall on GWU's campus in Washington, D.C. To learn more click here. Unemployment in rural counties continued to be lower than nationwide, at 8.5 percent, down from 8.8 percent in August. However, "Rural counties lagged metro and exurban counties in terms of job creation in the last 12 months, according to BLS," Yonder Co-Editor Bill Bishop writes. 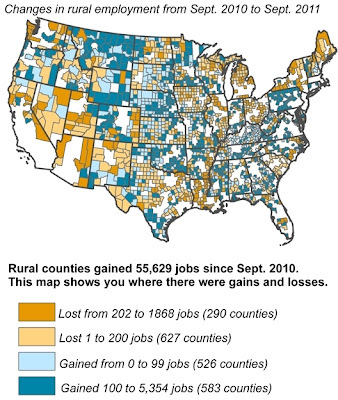 The Yonder story also features tables of the 50 counties that lost the most jobs in the last year and the 50 that gained the most jobs. For the story and charts, go here. The report also says private prisons cut costs by slashing pay for staff, which leads to higher turnover rates and less adequately trained staff, David Shapiro, staff attorney for ACLU’s National Prison Project told National Public Radio. The results: higher levels of violence in private prisons, some studies show. 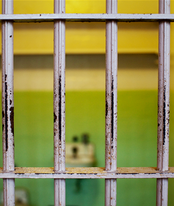 Corrections Corporation of America acknowledged in Securities and Exchange Commission records that current sentencing laws increase company profits, Svoboda reports. But a CCA spokesman said the ACLU report "is being advanced by a familiar cast of industry critics and is blind to our industry's many benefits." Just weeks after announcing part-time employees would no longer receive health insurance benefits, Walmart said Monday it is planning to offer extended medical services in its stores, report NPR's Julie Appleby and Sarah Varney. Since many of its stores are in rural areas, this move could extend medical coverage to people who often can't afford transportation to a doctor. The retailer "sent out a request for partners to help it 'dramatically lower the cost of health care by becoming the largest provider of primary health care services in the nation.'" In a 14-page request, Walmart asks health-care providers to define their expertise in a variety of medical areas, including managing patients with chronic health problems like asthma, HIV, arthritis, depression and sleep apnea. The retailer is also trying to find health partners who can monitor patients with diabetes and high blood pressure. Appleby and Varney say "The move would capitalize on growing demand for primary care in 2014, when the federal health law fully kicks in and millions more Americans are expected to have government or private health insurance." This effort could also capitalize on "collaborations between doctors and hospitals to streamline care and lower costs," they report. Nov. 17, 2011 will be the first annual National Rural Health Day sponsored by the National Organization of State Offices of Rural Health. The goals of the event are to highlight rural communities as wonderful places to live and work, increase awareness of rural health-related issues and promote the roles of state rural-health offices in addressing those issues. On Nov. 17, the organization will host a series of free webinars in conjunction with the observance. To learn more about the webinars, click here. The group also has a series of free tools newspapers can use to promote the event. (Read more) The Center for Rural Health is hosting a photo contest to promote the event. To find your state's rural health office, click here. It's been more than 50 years since a museum dedicated entirely to American art was opened in the U.S. That will change Friday, but the grand opening won't be in New York, Los Angeles or Philadelphia. This multi-million dollar museum will open its doors in Bentonville, Ark., a rural town of about 35,000 best known as the home of Walmart. 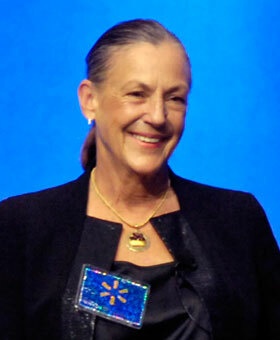 The museum was the brainchild of Alice Walton, left, 62-year-old daughter of Walmart founder Sam Walton. She is the 10th wealthiest American, according to Forbes magazine. 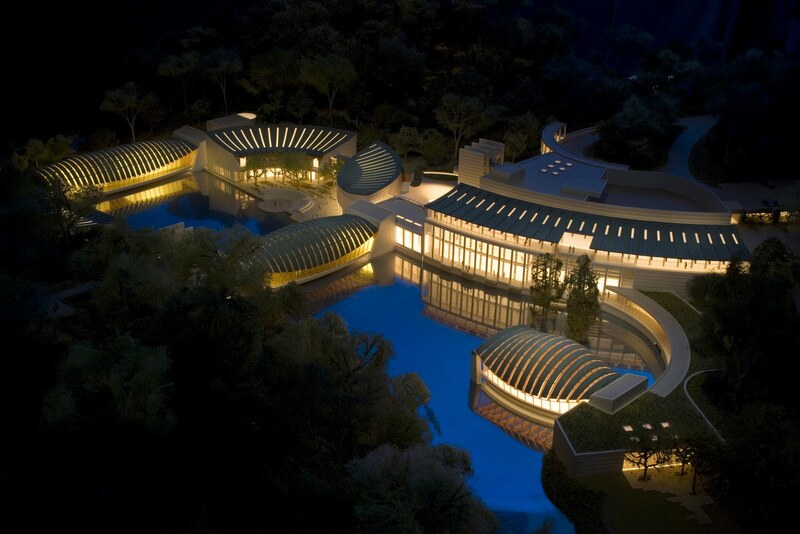 The Crystal Bridges Museum of American Art "is regarded as the nation's most important new art museum in a generation," reports Chuck Bartels of The Associated Press, largely because of the collection Walton spent more than 20 years amassing. Carol Vogel of The New York Times reports that Walton's collection includes Gilbert Stewart's "portrait of George Washington from 1797 ($8.1 million), Asher B. Durand’s "Kindred Spirits" from 1849 ($35 million) and Norman Rockwell’s 1943 "Rosie the Riveter" ($4.9 million)." Acquisition of Thomas Eakins' "The Gross Clinic" proved more problematic. Steve Paul of the Kansas City Star reported that she put up $68 million with help from the National Gallery of Art to buy the painting from a Philadelphia medical school, but most Philadelphians thought the painting was a "piece of its cultural patrimony," and raised enough to counter the offer and keep the painting in Pennsylvania. Walton told Vogel it was not easy "dealing with members of the East Coast art establishment" when she first announced plans to build the museum because "a lot of people there don’t really know this part of the world, really don’t know the people here and the desire and the need for art." Bartels reports that art critics and lovers on the East Coast "bemoaned the notion that cherished works were being commandeered for display in an Ozark mountain town." When she bought "Kindred Spirits," some felt the New York Public Library "had cast off a beloved part of its history." Walton said she never wanted to collect anything else but American art for Crystal Bridges because Bentonville is "the heartland of the country," and "It’s what should be here." Bartels reports the museum will display 440 works, much of them being seen publicly for the first time because Walton bought them from private collections. Crystal Bridges is a 10-minute walk through the woods from Bentonville's downtown square, on 120 acres that have long been owned by the Walton family, and includes three and a half miles of trails. Bartels reports that tourism officials "expect the museum to become an even more popular landmark than the $160 million Clinton Presidential Center" in Little Rock, and to bring millions into Bentonville as people from across the country travel to visit the museum. CBS "Sunday Morning" this week profiled Walton and Crystal Bridges (below) very well. You can find that report here. The U.S. Department of Education’s assistant deputy secretary for the Office of Innovation and Improvement, Jim Shelton, will host an embargoed call for working journalists at 3:30 p.m. Eastern Time on Wednesday, Nov. 9, to discuss an announcement related to the office's Investing in Innovation grant fund program, known as i3. Information discussed on the call and additional materials will be embargoed until 12:01 a.m. on Thursday, Nov. 10. Journalists who want to participate in the call must agree to these terms and RSVP to press@ed.gov by noon Wednesday, Nov. 9, to receive dial-in information and additional embargoed materials. New natural-gas drilling technology developed by Canadian company GasFrac removes water from the controversial drilling method known as "hydraulic fracturing" and replaces it with a thick gel made of propane. Brian Nearing of the Albany Times Union and Anthony Brino of InsideClimate News report the likelihood of environmental harm is decreased with liquified propane gas fracturing, or "gas fracking," because there's no risk of tainted drilling water being mishandled and threatening human health and the environment. Nearing and Brino report that gas fracking works similarly to hydraulic fracturing, pumping sand or man-made materials into shale formations where gas is trapped under high pressure to fracture the shale and release the gas. Under the high pressure and heat, the propane gel turns to vapor and returns to the surface with the gas, free of drilling chemicals and underground radioactive material. Once on the surface, it's collected and reused. Though the method is still relatively new, it already has strong proponents such as David Burnett, professor of petroleum engineering at Texas A&M University, who told Nearing and Brino that gas fracking "can serve two ends—protecting the environment and reducing costs to the drilling industry of handling and disposing of tainted water." He said there's no reason the method can't be effective. There are fewer African-Americans and children living in poverty than previously estimated, according to a new measurement technique that the U.S. Census Bureau instituted Monday and says is more accurate. The measure also shows a slightly higher poverty rate for the nation last year than previously calculated. Though the "supplemental poverty measure" will not replace official measures of poverty that depend on calculation of federal assistance to states, it could provide a more accurate picture of poverty in rural America, where high rates have been consistent. Sabrina Tavernise and Robert Gebeloff of The New York Times report results of the new measure: "There were 3.2 million fewer children found to be living in poverty in 2010, compared with the official measure, a difference of about 4 percentage points, and 800,000 fewer poor African-Americans, or about 2 percentage points less." They write that a big reason for this is the expansion of food stamps and the earned-income tax credit under President Obama that helped lift 11 million people above the poverty line. "The new measure shows a 15.9 percent poverty rate among people 65 and older, nearly double the 9 percent rate of the official measure, largely because the new measure deducts medical expenses from income," Tavernise and Gebeloff report. Census official Kathleen Short told them the new measure "was developed primarily to give policy makers a sense of the effect that social safety-net programs are having" by including costs like child care and out-of-pocket medical care. The announcement comes following a formal inquiry by Ruth Goldway, chairman of the Postal Regulatory Commission, to USPS. The service has confirmed at least 14 instances where restrictions against video, audio or photography were enforced during meetings on possible post-office discontinuances in Missouri, Mississippi, Pennsylvania and Kentucky, Hutkins reports. At a community meeting in Success, Mo., USPS operatives "told those attending they could not record audio, video or take pictures or they would call the meeting to an end," Brad Gentry of The Houston Herald reported. "Needless to say, it wasn’t exactly a friendly way to greet patrons concerned about losing the community’s identity with the closing of their post office. . . . As the meeting closed, our Herald representative snapped a crowd shot and was later greeted by a plainclothes U.S. postal inspector who flashed his badge and asked for a meeting in a hallway." For a page PDF with Gentry's column, click here. For a good story by Calen McKinney of the Central Kentucky News-Journal on a meeting about the post office in Mannsville, Ky., click here (free trial subscription may be required). One interesting angle to the story is the effort by Lebanon, Ky., lawyer Elmer George to save the post office, backed up by a detailed PowerPoint presentation, downloadable here. Natural-gas and oil drillers on federal lands may soon be required to reveal all chemicals used in hydraulic fracturing of deep, dense shales, Ayesha Rascoe of Reuters reports. The Interior Department plans to issue a proposal within a couple of months requiring disclosure of the chemicals, with finalized guidelines following within 12 months after the proposal. The aim is to improve public confidence in fracking through complete disclosure of the chemicals being used, David Hayes, deputy interior secretary, told the Energy Department's shale gas panel. Interior is also planning to develop additional rules to ensure well integrity and manage waste water. Last year about 14 percent of U.S. natural gas production was on federal land and about 90 percent of those wells used hydraulic fracturing, Rascoe reports. A new report by National Public Radio and the Center for Public Integrity says state and federal regulators are still struggling to enforce a major part of the Clean Air Act, leaving many communities "exposed to risky concentrations of benzene, formaldehyde, mercury and many other hazardous chemicals." The "air toxics" issue has lingered for decades. The reporters found that more than 1,600 facilities are labeled "high priority," justifying urgent action, but nearly 300 of them have been in that category for more than a decade. About 400 of them "are on an internal EPA 'watch list,' which the agency has kept secret until now," they write. For the list, in an Excel spreadsheet, click here. This evening on "All Things Considered," NPR rural correspondent Howard Berkes reports on toxic pollution by a carbon-black plant in Ponca City, Okla. Thursday on "Morning Edition," he focuses on another rural community, Chanute, Kan., which has a cement kiln fired by hazardous waste. UPDATE: The Chanute story is here; a sidebar is here and a story about the cement-kiln rules is here. 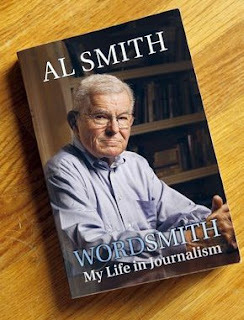 Albert P. Smith Jr., who turned his life around as a rural journalist and co-founded the Institute for Rural Journalism and Community Issues, has published a long-awaited autobiography to highly favorable reviews. 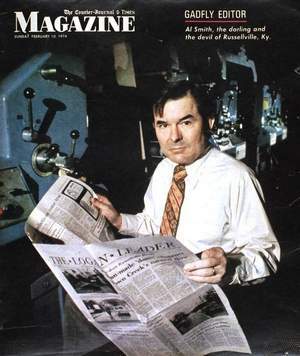 Squires is a member of the Institute's advisory board, but his high opinion of the book is shared by four others who have published reviews of it: David Hawpe, former editor of The Courier-Journal; Ronnie Ellis, Kentucky statehouse reporter for Community Newspaper Holdings; and CNHI and Huffington Post contributor Don McNay. "This book comes at what must be an uncomfortable time for rural chauvinists. They cling to a point of view that is under siege," Hawpe writes for his old Louisville paper, citing the latest census figures that show only 16 percent of the U.S. population is rural. "Smith is an extraordinary man, with an exceptional devotion to the best of the rural values that helped form him." He writes about Smith's rural acolytes, including the undersigned, who will interview Smith on stage at the Grand Theatre in Frankfort Friday night. For details on that event, click here. To order the book, go here; to donate $10 of the cost to the Institute for Rural Journalism and Community Issues, enter this coupon code: SmithIRJ. Earlier this month, Smith was awarded the 2011 James Madison Award for service to the First Amendment by the Scripps Howard First Amendment Center in the University of Kentucky School of Journalism and Telecommunications. (Read more) To read KyForward's coverage of the event, click here.